As the critical UN Climate Conference in Paris, COP21, is less than 2 months away, countries around the world are setting their targets for greenhouse gas emissions reductions. 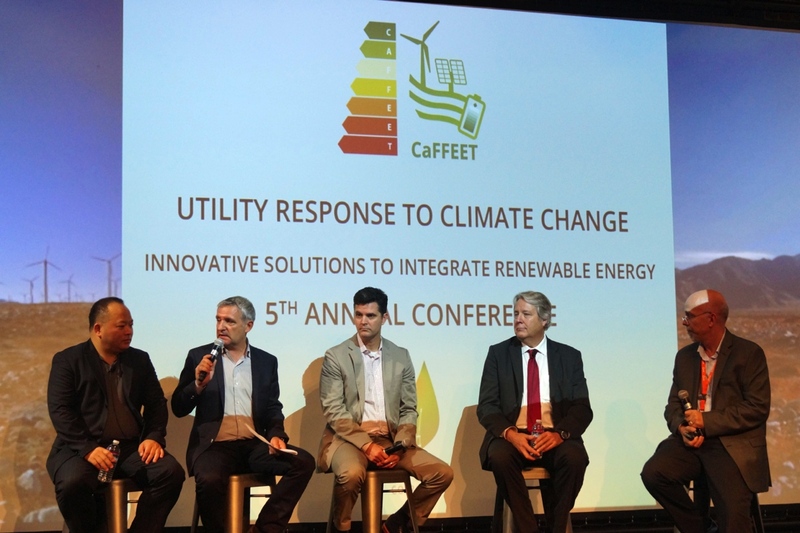 With that challenge in mind, experts from leading energy industry companies and organizations gathered in San Francisco for the 5th annual CaFFEET conference on September 29th and 30th. The focus was the “Utility Response to Climate Change”, and specifically “Innovative Solutions to Integrate Renewable Energy”. Integrating intermittent renewable energy onto the grid presents many reliability challenges with small margin for error, and risks of extensive brownouts. PRIME and French Tech Hub assembled a variety of startup companies presenting their innovative solutions for renewable energy integration. Clearly, fast-ramping storage with at least a couple hours duration will be vital for renewable integration. Primus Power and GELI have evolved their storage solutions over the past few years to the point that both are poised to be among the leaders. Less variable energy sources, such as those offered by Enertime and BoostHeat (combining natural gas boilers with heat pumps), certainly can fulfill a niche area (although some would like to see them replace natural gas ultimately with an even cleaner resource). Predictive analytics from Simularity and Helios Exchange using sophisticated algorithms offer profitable techniques for reducing greenhouse gas emissions. Automating the often time-consuming and labor-intensive processes for deploying solar can be greatly simplified, and UtilityAPI, PVComplete, and IRTFS offer viable solutions. Finally, Dronotec’s drones greatly simplify utility inspection in hard-to-access areas. 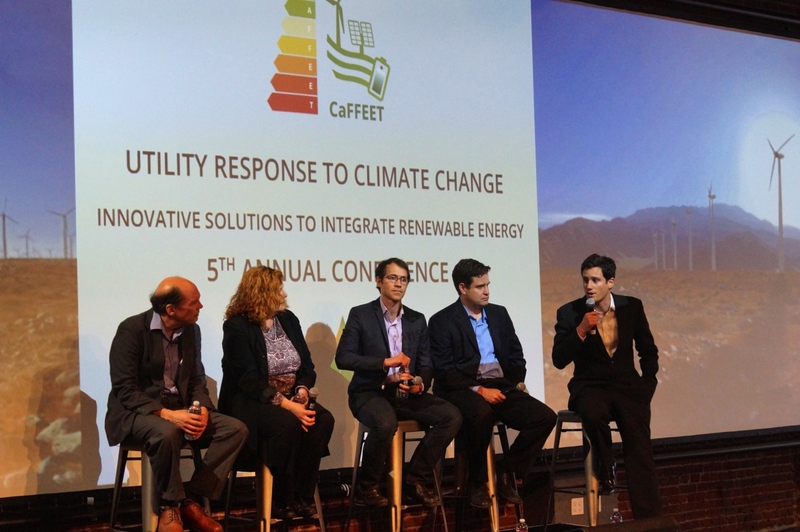 On day 2 of the conference, a panel of experts analyzed the science of renewable energy forecasts. The speakers described their modeling assumptions and techniques, and highlighted the complexities of modeling which are being addressed in increasingly sophisticated mathematical models. One of the primary conundrums of intermittent energy forecasting is the continuous variability of solar and wind energy at the local level, especially when forecasting for a single solar array. Another panel discussion focused on utility utilization of data for advanced control. Microgrids were a common theme for this panel, as they were throughout the conference, and certainly they will become commonplace in the coming years. This poses more challenges and opportunities for utilities in the real-time effort to balance demand and supply. A common theme of the final panel, on Innovation for Operations & Maintenance, was reducing “Soft Costs” (AKA Balance of System Costs), as these costs account for more than half the costs of a PV solar system in the USA. The moderator, Craig Connelly, US D.O.E, Sunshot Initiative Program Manager, reviewed the Sunshot program, which aims to lower the total installed cost of solar energy systems to $.06/kWh by 2020. 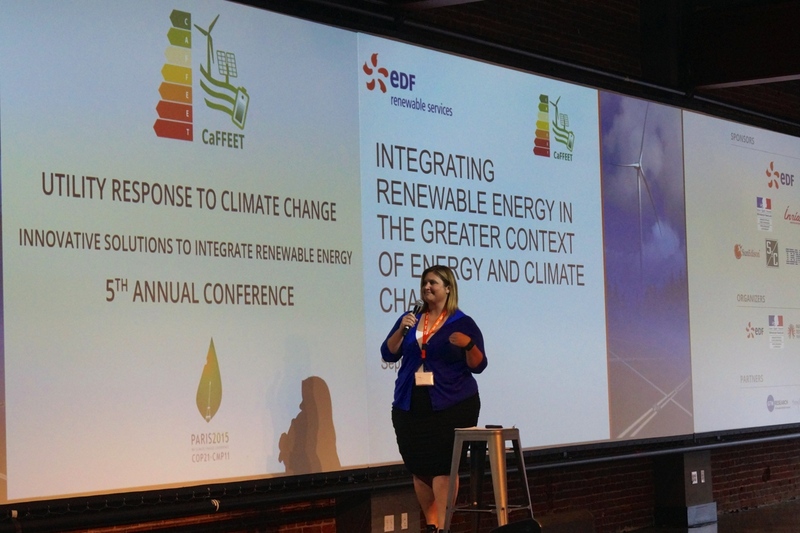 To wrap up, Dalen Copeland, EDF RE, VP of Business Development, summarized previous UN Climate Change Conferences, which have had limited success, and she proposed her thoughts on how the Paris COP 21 Conference could aim for greater success. Overall, this conference provided many interesting cutting-edge companies, and experts engaged in interactive discussions, all of which will clearly result in improved integration of renewables onto the grid, while maintaining grid availability and reliability.